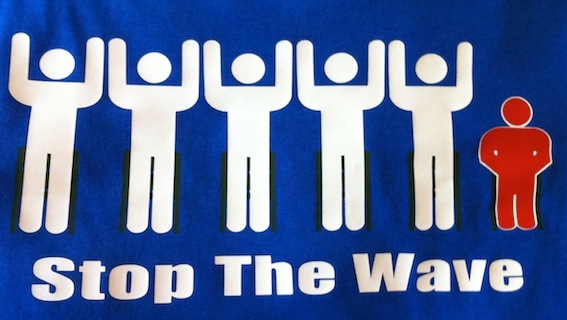 Stop The Wave t-shirts are now available! 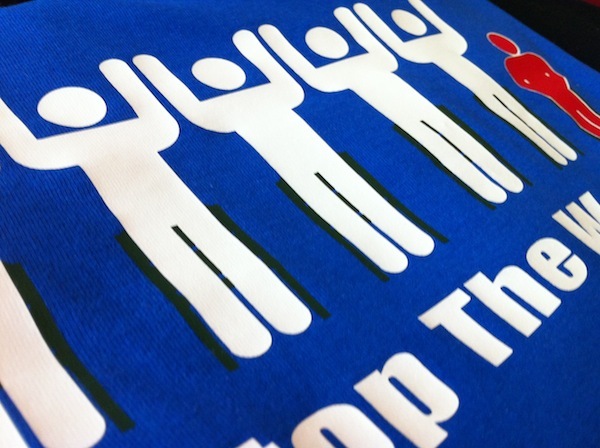 You can get your own over at the Stop The Wave SpreadShirt store. I decided to go with SpreadShirt because they offer the most flexibility for making designs available. The shirts are available in both men’s and women’s sizes and in any color shirt available on their site. It’s a good quality shirt and the logo is flex printed to have a slightly glossy look but is something that will last. 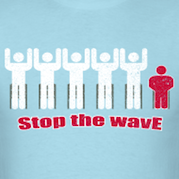 I hope to see some of these out at the Ballpark this season, it’s time to start spreading the word that the wave has to stop! Someone once said they would rather have 200 innings than 70 innings out of a pitcher. Which then is better — 45 saves or 15 wins? That’s a great point, and that is the debate here in Rangers camp. Believe it — there are some here in Surprise who believe that 45 saves are better. From TR Sullivan’s Inbox this morning. Sadly, one of those that believes 45 saves are better is most likely the manager of the team. I’ve got to disagree with this – it’s that kind of safe-play attitude that will prevent the team from actually getting anywhere, and it’s frustrating that someone in charge would make a decision that would, realistically, prevent them from taking the risks all teams need to take to win games. Baseball is a precise sport, but you can’t keep playing safe. Although it means a higher number of innings, it also means that you’re not allowing your players to open up rare opportunities to take the game home. All games – MLB, NFL, soccer, www.Poker.dk – are dependent on players being willing to strike out if it means that they’ve taken the opportunity to do more for the team in fewer innings, rather than playing it safe and allowing their opponents to be the only ones playing fast and loose. It takes a second to figure out what’s going on here. 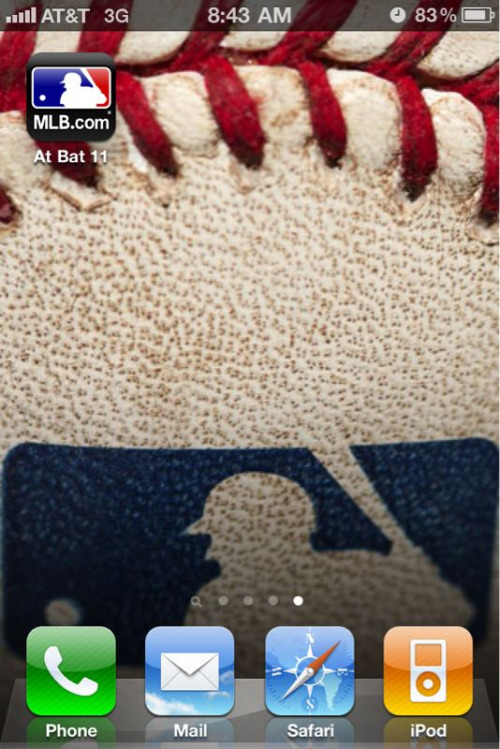 In case you haven’t seen it, 3 pages of GIFs of Adrian Beltre getting his head rubbed. Colorado Rockies players know what’s up with the wave. 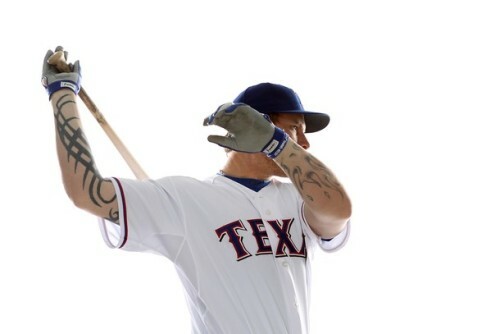 Really digging the white background on the Rangers photo day pics. Being a spring training photographer might be the best job in the world. 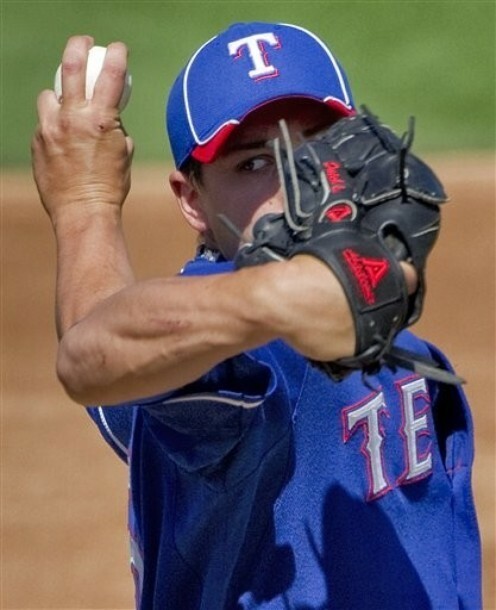 He is the Derek Jeter of the Texas Rangers. Mitch Williams on Michael Young. I actually agree with him, but at this point in their careers that isn’t a good thing. 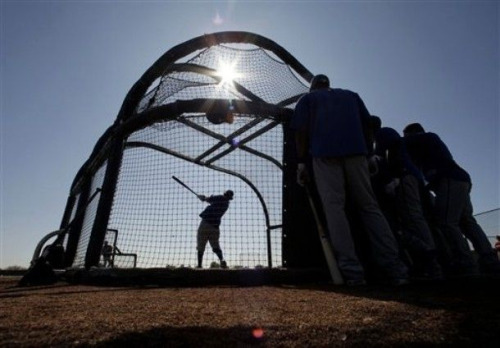 Just another sign that real baseball is right around the corner.